YTMND must recreate the Synchronizer! What if... You somehow forgot to sync the sound properly on Audacity and somehow end up with a crappy, misaligned fad? Wanna correct the problem while creating your fad? Don't wanna let an idea you worked for hours to the stinky trash can? Re-make the synchronizer, for god's sake! IIRC that feature was mostly useful prior to the invent of the YTMNF Flash loader. how can i find the delay on mp3s? 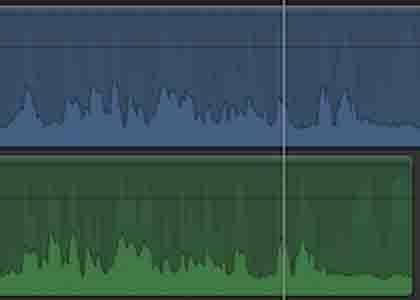 It's all about the seconds in the audio and how many image frames you have. Take for example you have an audio that's 10 seconds. Now you have 100 jpeg/png frames you want to sync to that 10 seconds. We'll use Jasc animation shop. The frame delay timings in that is 1-100/100th of second. 100 being 1 second. To make this easier for understanding we shall use 10 frames to make up 1 second so each of those 10 frames will have a delay timing of 10 (10/100th). In fact for this example, all the remaining frames can be delayed timed at 10. Since 100 frames equals 10 seconds. 10x100=1000 (10 seconds) From that you should have a basic understanding and be able to sync to your heart's delight. There's also a little trick to do in syncing the frames with the audio on ytmnd. Add 1 blank frame to the beginning of your gif. oh ok. i get that now. i was actually confused, derrr, why mp3s can never be made exactly to the thousandth what length i want them time theyre converted. but i noticed the delay in gifs. great. gotta fit a blank frame in. Interesting. Maybe a little tool to do live synch testing. How 'bout real time mic recording directly to a secondary sound file on all ytmnds so we can make our own RiffTrax and audio commentary on other people's sites? I bet [i]THAT[/i] wouldn't get abused! That's actually a good idea for a standalone website. You could riff any URL: Youtube videos, YTMNDs, forum posts, etc. Avatars could be little shadow cutouts. It'd be like an unholy amalgamation of MST3K + RedLetterMedia + every single "internet critic" account on YouTube. My guess is that the results would be at least as entertaining as a Dr-Pizza video. Alternatively, you could just, you know, get better at making sites. It's in case you slip in the creation process. My hair is a bird. Your argument is invalid. Discovered max hates Moon Man and now max will delete any Moon Man page he sees (Thank SantaBotAI for the info). Isn't Moon Man supposed to lure me to McDonald's and render me fat at midnights? OH GOD! FAT PEOPLE INCOMING! LOCK YOUR DOORS WHILE YOU SLEEP! Sorry for breaking the fourth wall, but why am I making daily comments? Shouldn't I be doing my work? Probably could be useful but I don't make sites anymore.